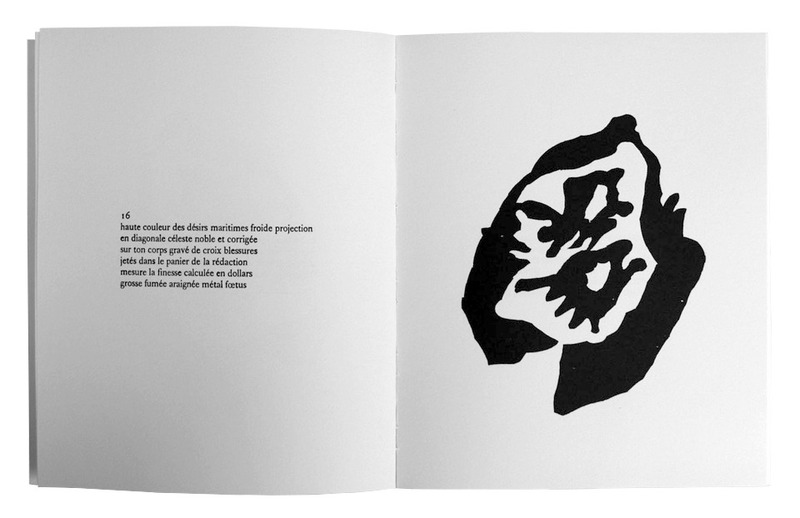 postcovered paperback book 19 wood engraved by Hans Arp language: french issue: 2005 ISBN: 978-2-916275-01-0 For aesthetes, bibliophiles, collectors of Dadaism , this is no doubt: this large collection is the most beautiful book of dada. 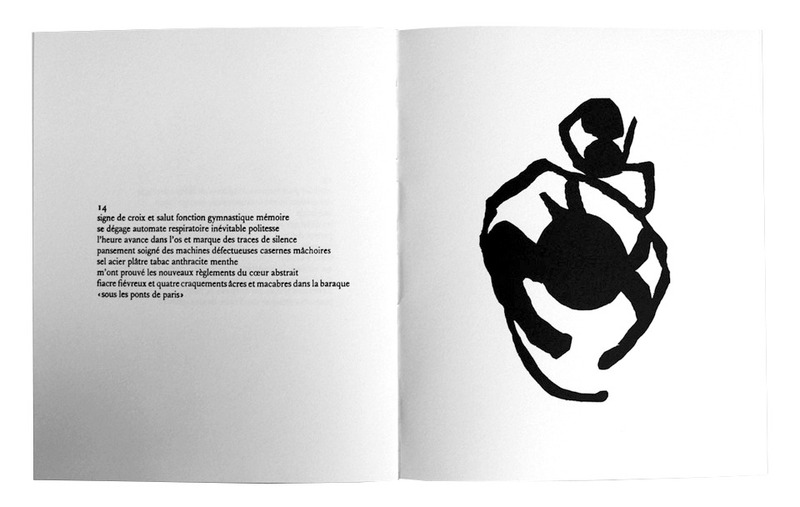 The dialogue between the poet and the artist, engaged in Zurich during the war, continues in Paris, in a more peaceful style. 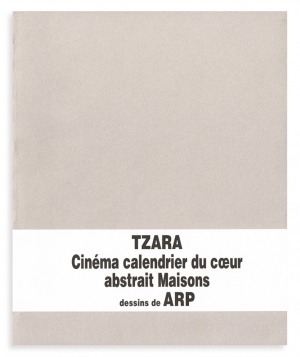 Cinema calendrier is the most complete example of the Dadaist book by the distribution of the 19 woods of Arp, by their varied layout on the page, by the balance of the text and the image. One would even be tempted to speak of wisdom. 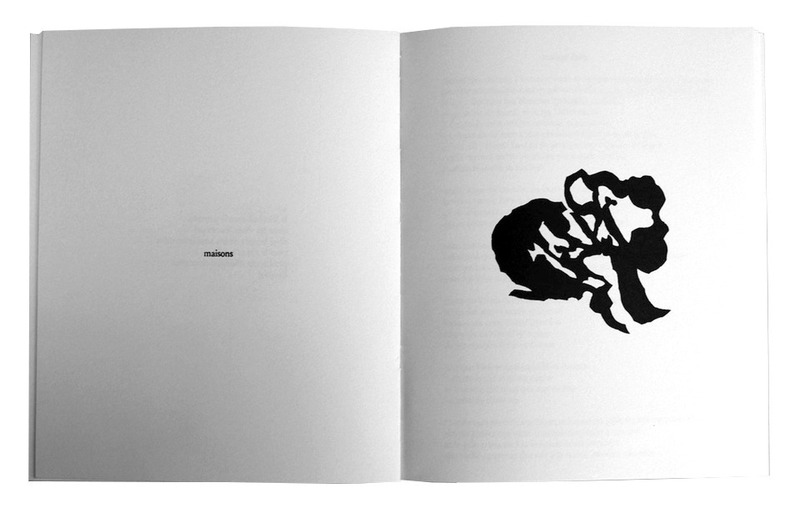 The revolutionaries, however, have not laid down their arms: they demand the connivance of the reader, not without violence sometimes. 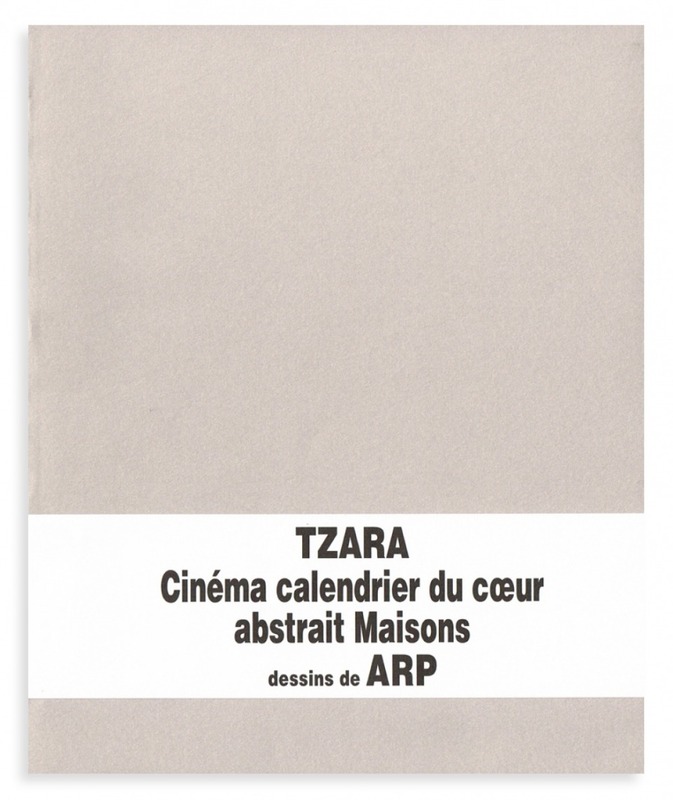 We remain confused before the deployment of black forms proposed by Arp as a humorous counterpoint portraits of friends Dadaist (Soupault, Breton, Eluard, Aragon, Arp, Picabia, Ribemont-Dessaignes ...), brushed by Tzara with remarkable acuity.